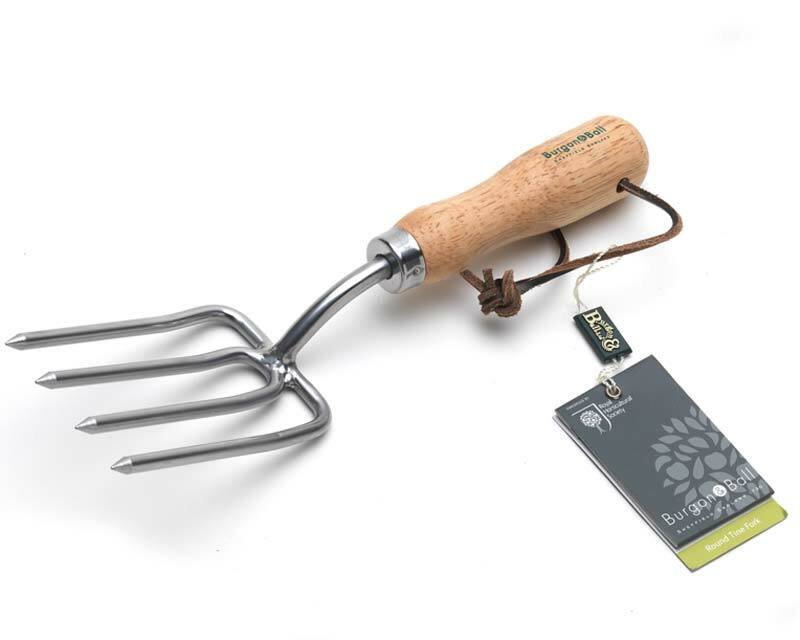 Burgon and Ball Round Tined Forks are a good choice of hand fork particularly for soils that are heavy or predominantly clay. The round tines offer less resistance to the soil than the flat tines. Width 7.5cm, overall length 29cm. We are currently out of stock of this item. New stock is due from the UK mid July. Burgon and Ball products are very popular and supplies are limited so we recommend placing an order on backorder to avoid disappointment.